Is this what you get when you walk into an auto repair shop? Are you ignored? Do you feel like YOU are trying to earn the shop’s attention, instead of the shop trying to win YOURS? Well ladies, it doesn’t have to be this way. In fact, it should NEVER be this way. If you don’t get it, go somewhere else! Don’t Get Fooled with Your Auto Repairs! Have you ever gone to the grocery store and noticed the price you thought you were going to pay is not what rang up on the register? Or been overchar ged at a restaurant at one time or another? Whether something got added to your bill or the price was higher than was advertised, either way, we would like to think that this was just an oversight. The same thing happens with auto repair. You might find a charge that was not what you agreed to. Maybe the mechanic found some other problems with your car while working on it. Or that too-good-to-be-true price on tires was exactly that… too good to be true! No matter what the reason, we’ve all been misled at one time or another. Usually, an overcharge is an honest mistake. Perhaps the mechanic just got back from his honeymoon and his head was still in the clouds and not in your engine. Maybe the sales person didn’t communicate to the service manager that you had a snazzy Women Auto Know VIP card and get a special discount. When you get your bill and realize that it is not what you had been promised, what do you do? Do you give them the benefit of the doubt? In most cases, that is the lady-like thing to do. But when it comes to your car, don’t sacrifice safety to save face! Let’s say you drop your car off at the garage to have the oil changed, belts replaced and filters checked. But the garage is busy or the mechanic working on your car is a new hire. As a result, the work doesn’t get done right. Without knowing, you smile pretty, pay your bill and thank them for maintaining your car. But as you drive off, humming happily to your favorite jam, you hear a loud squeak coming from your engine and puffs of smoke start billowing out from under your hood! Now a couple things are happening here. First, you begin to doubt the oil was changed and the belts were replaced. Second, you seriously guess the workmanship of the shop. And third, you drown out the best part of your favorite tune with four letter curse words! But the most damaging thing that has just occurred is that you’ve lost confidence! Tape your service requests to your steering wheel – sounds kind of simple, but this is one sure fire way to guarantee the mechanic working on your car addresses all of your service requests, regardless of what the salesperson orders. Play a game of show and tell – ask to see the parts that have been replaced and ask to be shown what work was done on your car. Mechanics are usually more than happy to review the work they did and show you the damage and wear on your old parts. This is a simple way to guarantee that you are getting all the work done that you requested, that you needed, and not any more. And, this is a fantastic way to get a quick automotive education. Review the invoice – just like at the restaurant, go over each line on your bill with the salesperson to be sure that you are paying what you have been quoted. If there is a change in price, have the salesperson explain why. 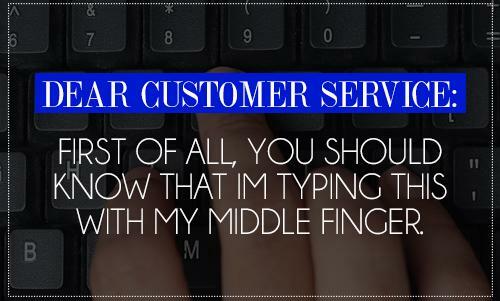 You usually have to sign a work order before the service is done and then again after. If you are unhappy with the price, don’t sign. Get initials – if a salesperson offers you a special deal that is not clearly advertised, have them initial the work order or sign it, verifying that they have the authority to offer you that price because they may not be available when you go to pay for the job. Be proactive in your auto repair and you can avoid being fooled. Be assertive, ask questions, take the Women Auto Know pledge, and if you are happy with the price and work, be an advocate for your shop. Then you can smile and thank them for a job well done! 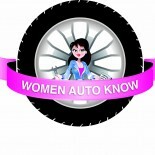 Check out all our other tips to keep you safe on the road and in the shop at WomenAutoKnow.com! Like the children’s rhyme auto repair can, unfortunately, be like a game of Russian Roulette. Trick or Treat? Will I walk away a satisfied customer who paid appropriate prices? Or will I walk away wondering if I got the repairs I need and spent too much? 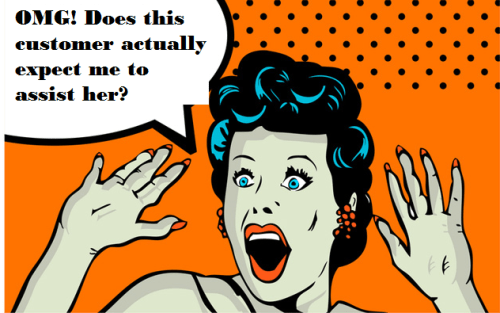 With a week of horror movies, costumes and ghost stories told around flashlights under tents made of couch cushions I wanted to take the opportunity to highlight a recent story (with a happy ending) we received from a member of Women Auto Know. Recently I was involved in a minor motor vehicle collision where a vehicle rear ended me and I subsequently hit a SUV in front of me. After the initial shock of the accident and ensuring that I and passengers had not sustained any life threatening juries, my first thought was gosh, how’s my car going to get fixed? I called into my insurance company to report the accident and I called into report the accident to the insurance company of the man who hit me. After speaking to an adjuster I was told that I needed to bring my car into one of their “approved auto claims centers” Unknowingly I agreed to meet with an adjuster to view the damages sustained to my vehicle. Something seemed a little fishy, why did I have to bring my car to one of their centers? Why couldn’t I choose who I wanted to do my repairs? Everything I’d overhead my dad and uncles talking about regarding accidents and how to handle them went out of the window. I felt pressured and rushed speaking to the insurance representative, I was clueless. I spoke to someone I trusted wouldn’t steer me in to the wrong direction. She told me that I had the right to bring my car to any auto repair shop of my choosing. She explained to me that the insurance companies and these auto repair shops have a relationship and that I needed to go to somewhere where my best interest would be served. I didn’t want to get low-balled. I got schooled. Thanks Audra! With my new-found confidence I called my adjuster and informed him that I couldn’t make our appointment and that I would be taking my car to a shop I knew and trusted. Immediately I was told that if they were paying for repairs they had the right to view the damages and make their own quote and that if I wanted to take my car to a shop outside of their network I had to go through my insurance and they would reimburse them. I emphatically asserted i knew this wasn’t the case and I could take my car for an independent inspection. The adjuster changed his tune, conceded that I was in fact correct and I could choose to do so if I wished. This just goes to show that a little knowledge goes a long way! There are still many skeptics, but the following may illustrate the widespread distrust of car repair? Auto Repair – Just How Much Fraud Is There? RepairTrust studies show that 98% of all car repair shops are charging excessively in one form or another. The National Highway Traffic Safety Administration estimates that automotive service consumers are scammed tens of billions of dollars every year. And repair shops—dealerships, local shops, and franchises—are repeatedly at the top of consumer complaint lists every year. With numbers like those, anyone would be afraid. 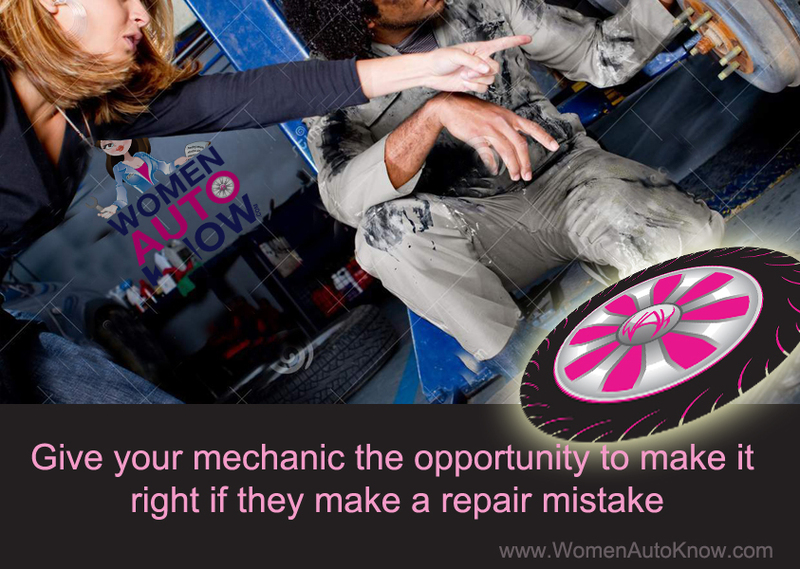 That’s what we’re working to helping the public with, here at Women Auto Know. 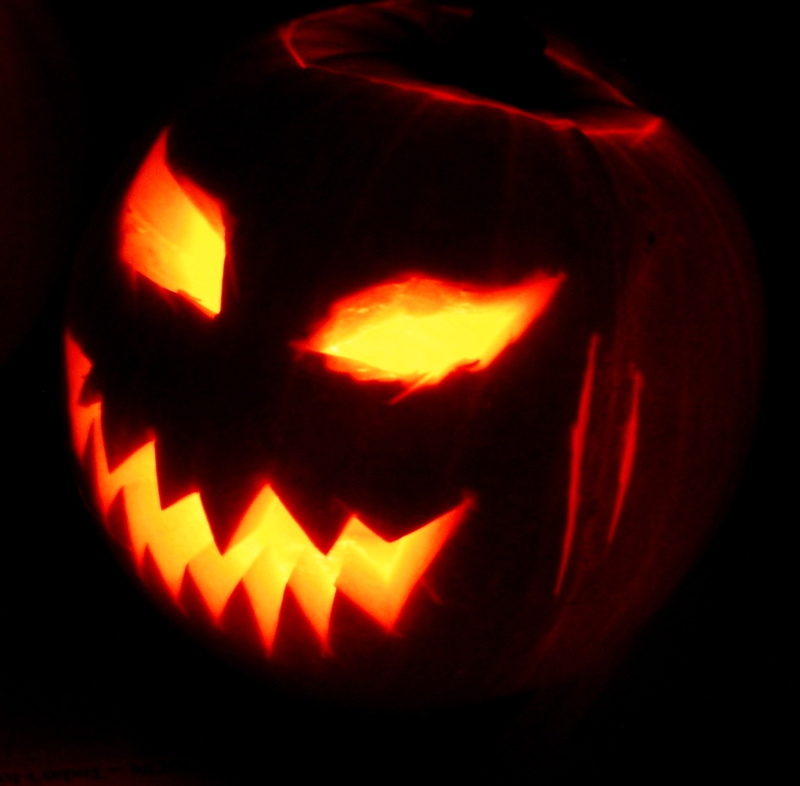 Do you have a horror story that you would like to share? We want to hear from you. Comment on here or Facebook us.